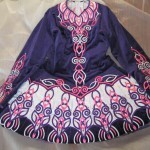 An immaculate condition velvate dress only been worn 5/6 times,bought brand new. 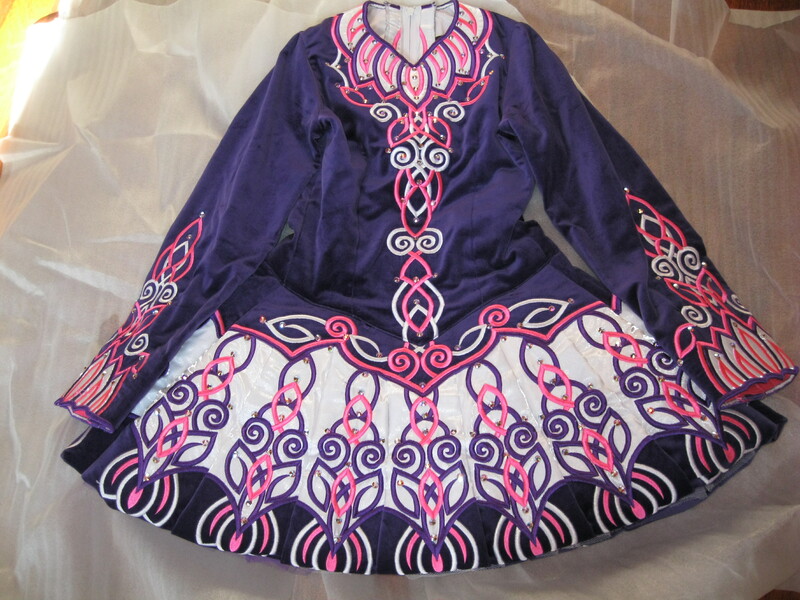 the main colour is purple with white, pink and purple embroidery, with swarovski crystals. 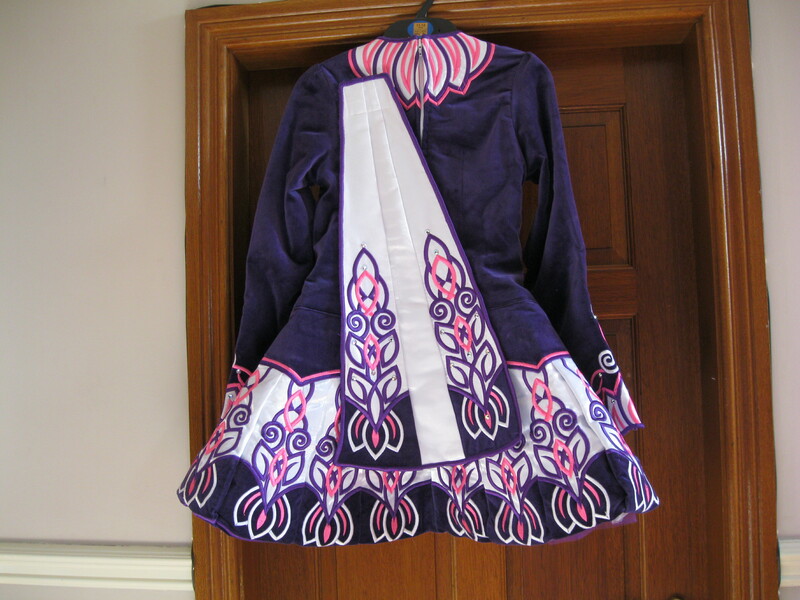 The style of the dress is a puffball with a purple and white netting underneath the dress. 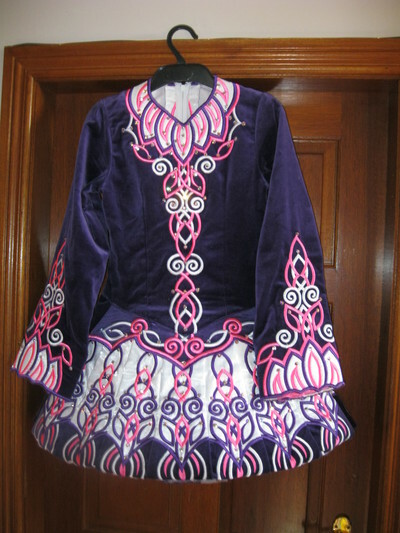 The dress includes blummers, a head band and a shall which is white with the purple and pink embroidery and swarovski crystals. 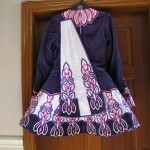 There is let down on the waist for length and let down for the length in sleeves there is also a let out.